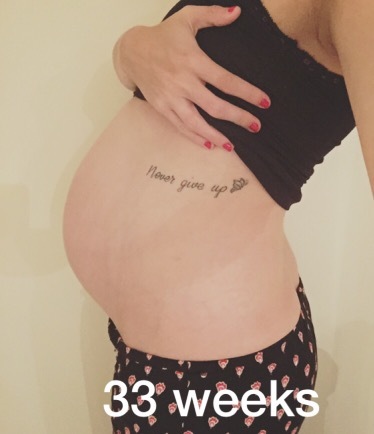 Yeah so I totally missed the 32 week pregnancy diary… A lot has actually happened since my 30 week pregnancy post so I figured I better post an update now at 33 weeks. 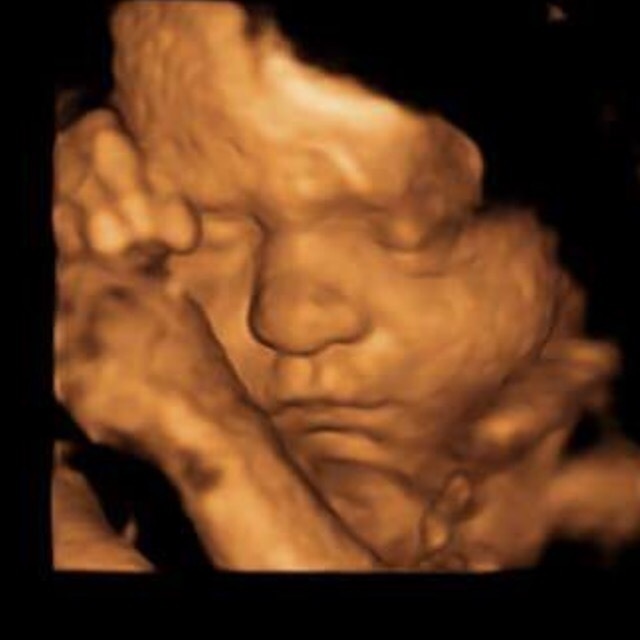 Firstly, we had our much awaited 4D scan at just over 30 weeks. This was something I had had done when pregnant with Carly and knew I wanted to have with this baby as well. Unfortunately for us, baby boy is a bit shy and tends to have his hands up in front of his face most of the time, which made it fairly difficult to get a clear shot of his face. The sonographer tried several things and let us go away and for me to fill up on fizzy drink and chocolate before trying again, in the hope that it would have encouraged him to move. Bizarrely he ended up asleep instead. The photos we have are still pretty special, especially the main one, which does show him with his hands up, but Ed loves it as he says it looks like he’s practising his martial arts already! Since the scan, I’ve been a bit busy filming videos for the In Real Life channel, so those will be coming up in the next couple of months. One video talks about my plans for homebirth and another about how I’m preparing the children for their baby brother. 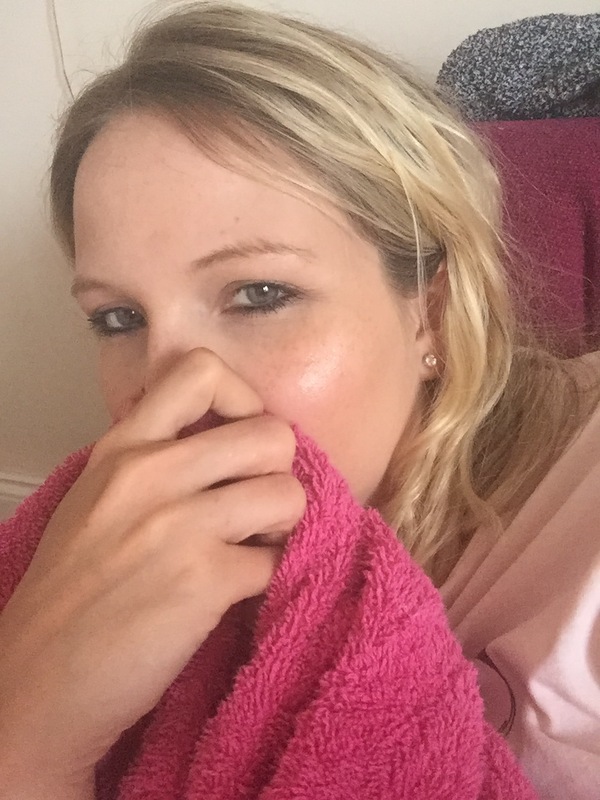 I also discuss depression as a mum. I’ve found it good to keep myself distracted as the last weeks/months do tend to drag a bit. 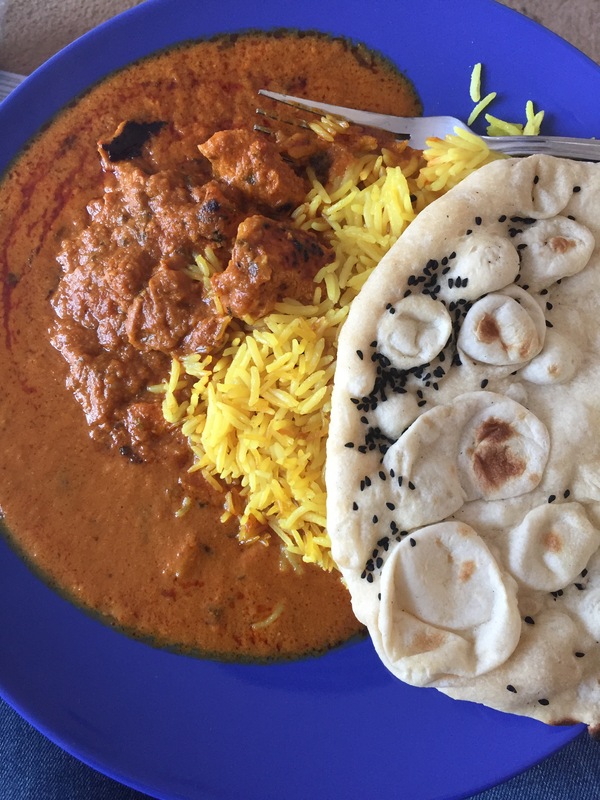 Cravings wise my love of curry has increased and I find myself longing for a ready meal Tikka masala on an almost daily basis (I restrain myself most of the time). My love of damp flannels/towels is also not showing signs of stopping anytime soon. I’ve googled this rather odd craving and found several other women have had the same, so although it’s odd and makes Ed laugh at me, I know I’m not alone in my behaviour! At 31+5 Ed and I went to an antenatal class, which was so interesting. 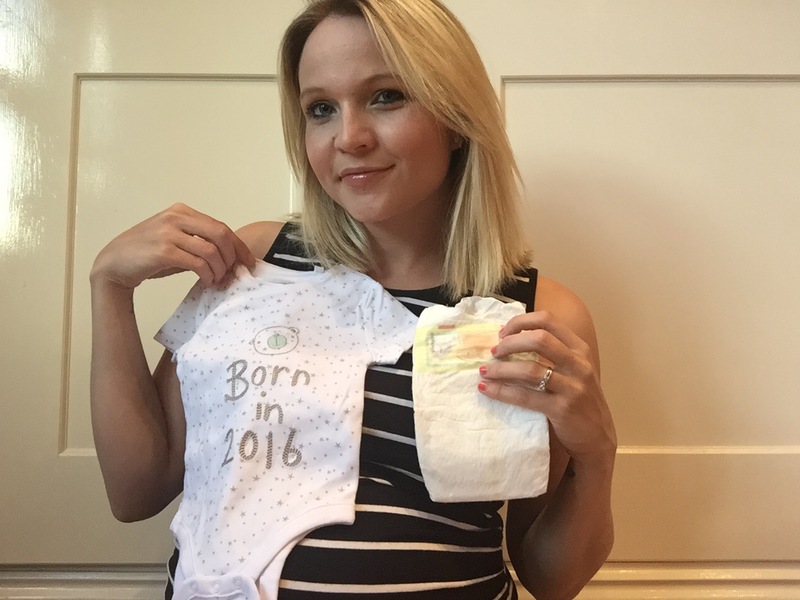 I only really went as it’s Ed’s first baby and I thought he should be prepared, but I actually came away from it with some information I didn’t already know and the day really helped to refresh everything (after all, it’s been 4 years since I was last pregnant). The midwife who led the class was really funny, I think she could take up stand up comedy to be honest with her labour and birth reenactments and little anecdotes! We sat next to a couple who were due on the same day with a baby boy as well, which was nice. Following the class, I’ve written my birth plan. I plan to labour at home and hopefully have a water birth, with a managed third stage and *fingers crossed* as minimal tearing as I’ve had in the past. I’m very open to options and will be transferred in an instant if advised to as I don’t want to endanger myself or the baby in anyway. I’ve also packed my birth bag (a little earlier than strictly necessary). Although I am planning a birth at home, I know things don’t always go to plan so want to be prepared for any eventuality. It’s also easier if everything is packed in one place. I filmed the packing process and it’s going live on YouTube tomorrow so make sure you watch that if you fancy seeing some mahoosive Bridget Jones style knickers and maternity pads the length of your arm… Having everything prepared and ready to go makes it seem much closer. It’s still 7 weeks until our due date, but only 4 until I’ll be classed as full term. On Saturday, at 32+4 we had a bit of a scare after our usually incredibly active baby decided to slow his movements right down for over 24 hours. I was also getting some bad period pains so I went in to be observed and we spent a fun evening at the maternity hospital. Luckily everything seems to be ok with baby and he has since started moving around lots again (last night I saw his little hand poke out of my belly button, it was a little freaky!). At the hospital they examined me to check I wasn’t going into preterm labour and didn’t think I was so I was allowed home and advised to rest as much as possible. I had already booked a week off work for this week so I’m being fairly lazy (well as lazy as I can be with two children at home with me anyway). I had planned on having my highlights done only a few weeks prior to my due date but thought better of it and now have them booked in for next Wednesday, when I’ll be 34 weeks.